Moles do not tend to be harmful to your health and you can usually live without them causing you any problems; however, for some, the mole might be interfering with your life or causing issues with your confidence. In these circumstances, it may be beneficial to look at a clinic that deals with mole removal in London, which can be achieved through a simple surgical procedure. What is a facial mole? 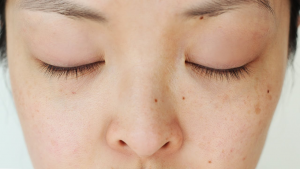 Facial moles are generally small skin growths that are darker than the rest of your skin. If you have a mole on your face, this can often get a lot of unwanted attention. According to statistics from whatclinic.com, there was an 86% rise in 2014 in the number of patients who enquired about mole removal. Moles can have various forms, with some slightly raised and others containing hairs. Changes in a mole could be an early indication of a form of skin cancer and 75% of us don’t feel confident that we know what these warning signs are. The majority of moles are not dangerous, but it is still important to check for any changes and seek medical advice if you are concerned in any way. If you are considering having your mole removed, you need to speak to a qualified professional. They will be able to talk you through all the available options and discuss which is the best for your circumstances. They will also provide you with an aftercare package to ensure that the area the mole was removed from is healing correctly. One of the most common methods of mole removal is through a surgical procedure such as a shave or elliptical excision. This can be carried out at locations across the country, including The London Cosmetic Clinic. These are quick procedures, generally taking less than half an hour, and the healing process takes a matter of weeks. After this, you will be mole-free and able to go about your daily life as normal. Mole removal is not the right option for everyone; however, if your mole is causing you problems and you feel so self-confident that it prevents you from living your day-to-day life, it could be a good choice for you. Having the mole removed can enable you to regain your confidence and feel happier about yourself.